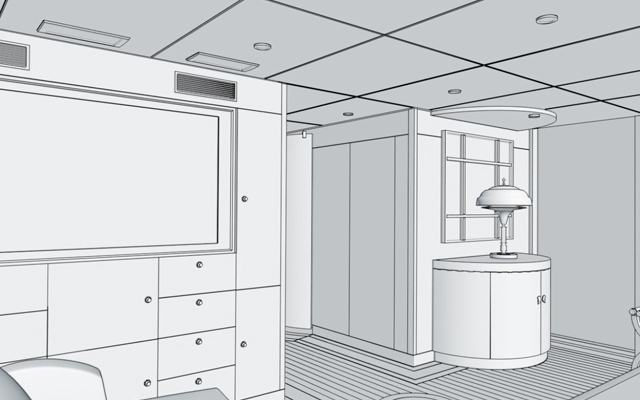 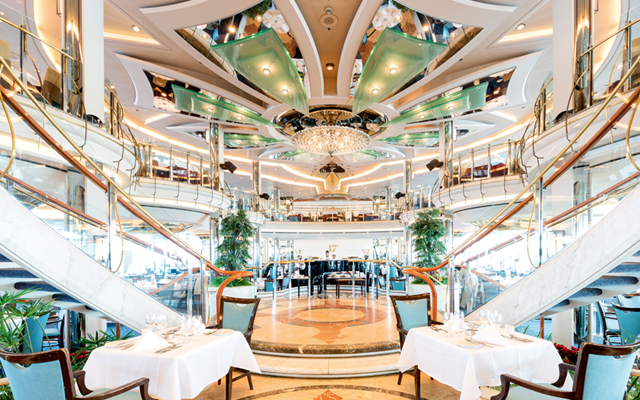 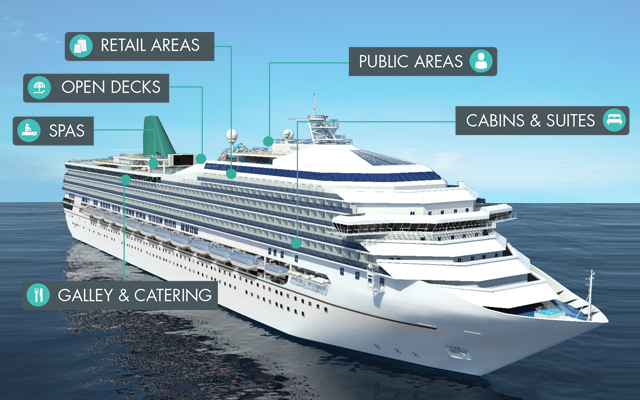 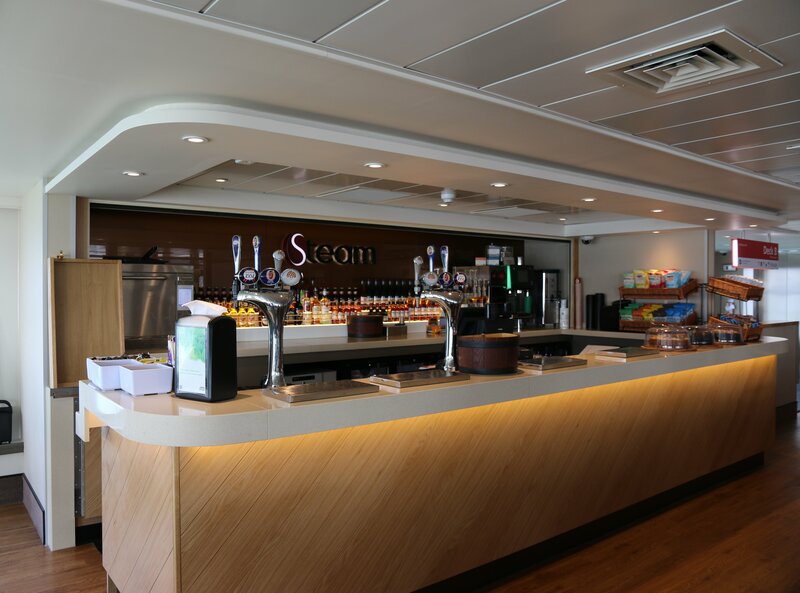 The scope of work was comprehensive, including a new sun deck, lounges, bar and catering equipment, lighting and electrical fittings, seating, doors, bulkheads and panelling, flooring, window surrounds, insulation, fire protection, CCTV, telephones and computers. 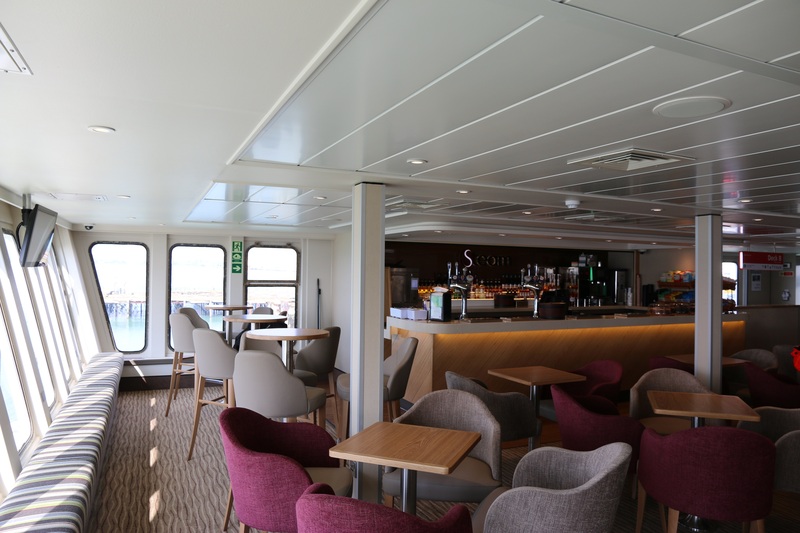 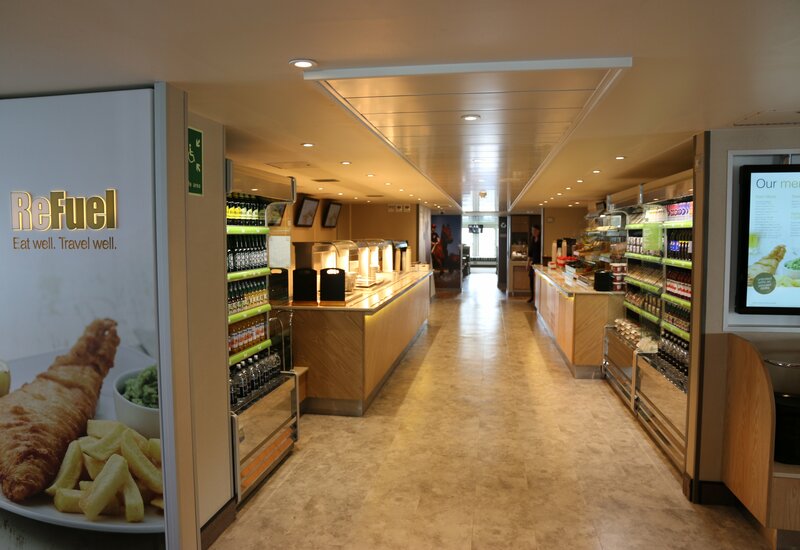 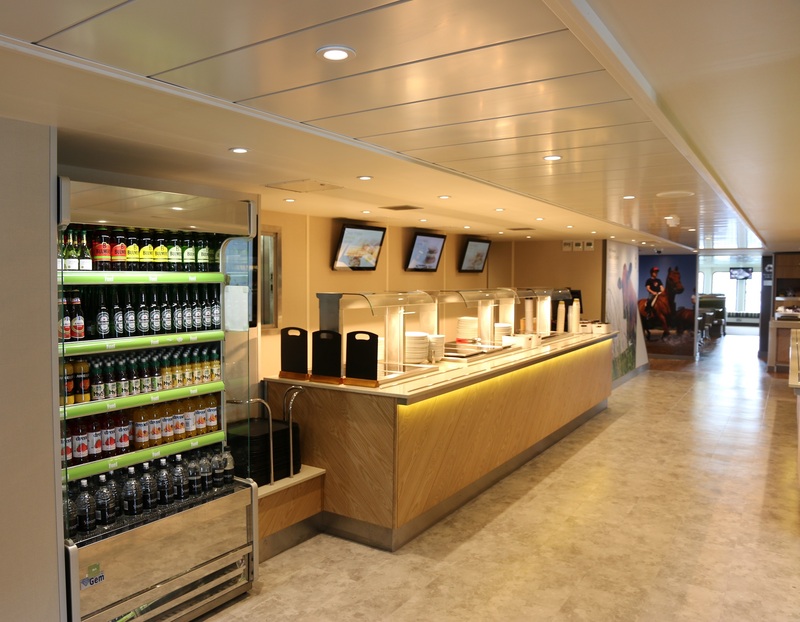 This ambitious refurbishment followed a record-breaking year for the ship’s operator Red Funnel, which saw a 15% increase in traffic across the Solent during the main summer holiday period. 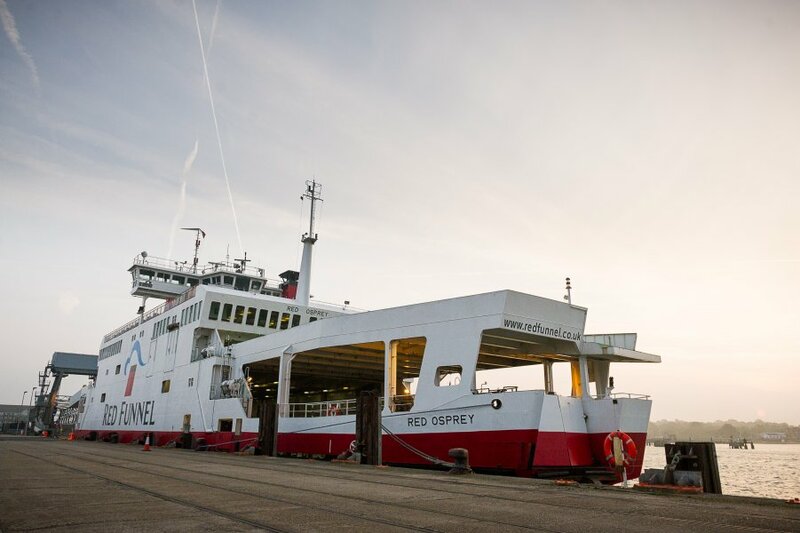 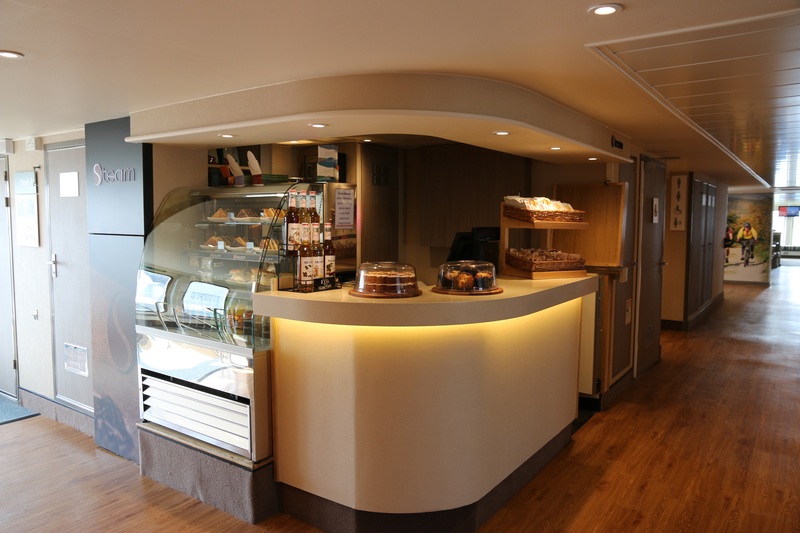 Redesigned to offer a more cruise-like experience, the refitted Red Osprey offers 55% more inside seating, two new lounges, air conditioning throughout, free wi-fi, 35 digital screens showing TV programmes and two interactive 65″ touch-screens hosting children’s games and quizzes.